Modern screen rooms and enclosures for homes. 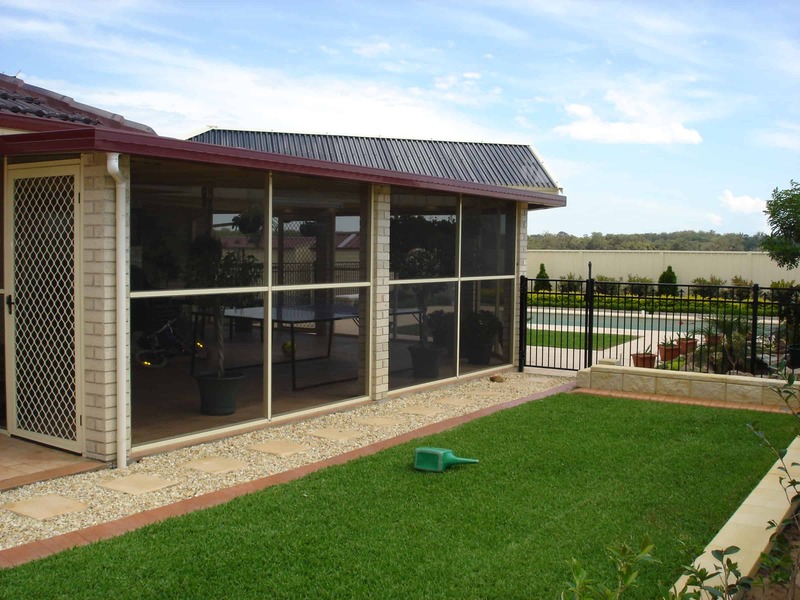 A Screen Room is ideal for letting fresh air in while keeping bugs out. 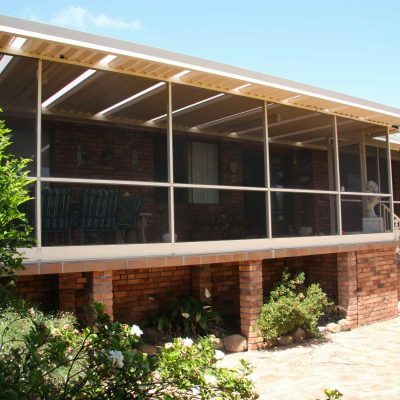 It also offers protection from sun and rain, so you can sit inside and enjoy the best of outdoor living. 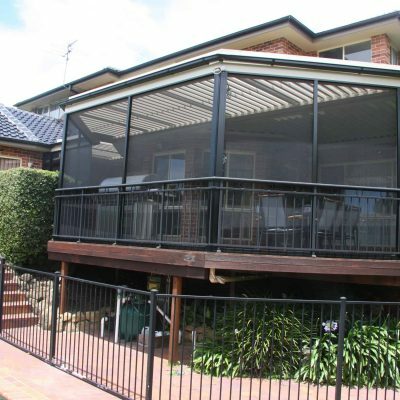 Add a BBQ, bar or dining area to your screen room and it transforms into the perfect outdoor entertaining area. 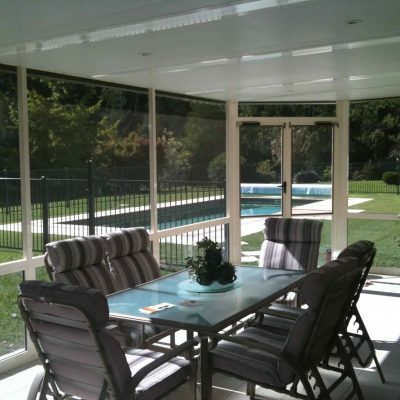 A daybed or cosy outdoor lounge makes for a relaxing retreat, or use your screen room as a greenhouse for exotic plants. 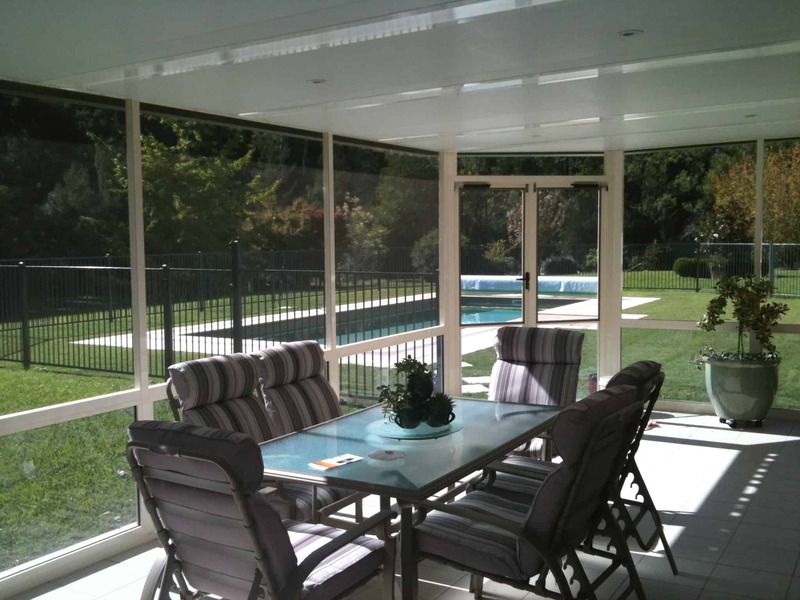 The screen room provides you with visibility and ventilation, without the glare and heat of the sun. 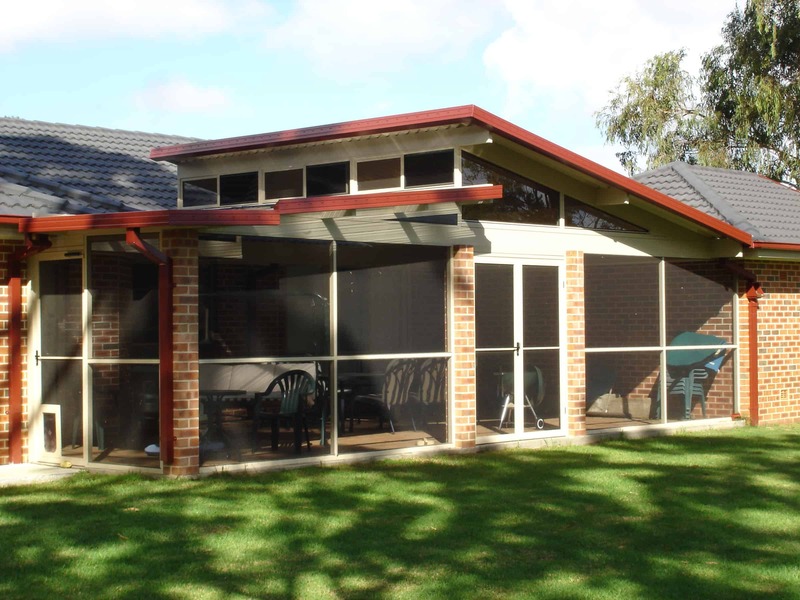 As well as keeping bugs out, it prevents debris such as leaves from entering your outdoor living area. 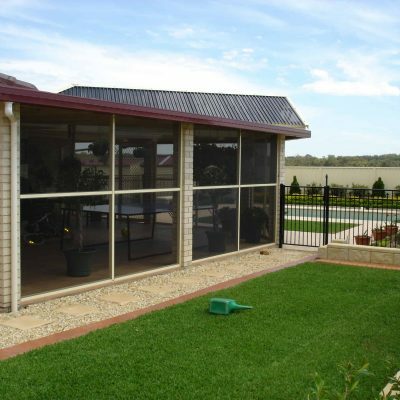 Whether you choose to build a brand new patio or enclose an existing area, a screen room is a valuable addition to any home. We offer a 10-year guarantee on screen rooms when fitted by our experienced tradespeople. 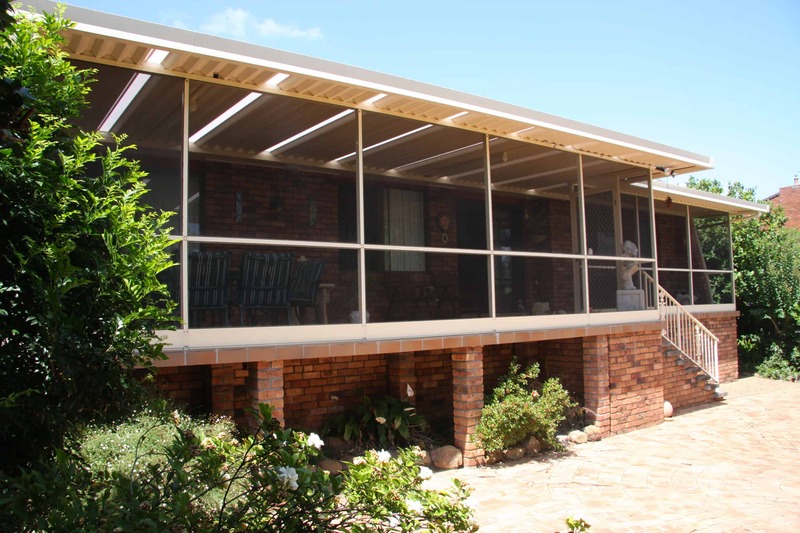 Our aluminium gutters and framing can be powder coated or anodised to make them highly resistant to corrosion and wear. They are non-combustible, will not warp or require painting. Thank you to all the staff who were involved in the process of designing, ordering and installing our new screened enclosure in record time (2 weeks from start to finish). A great team effort…WELL DONE!! 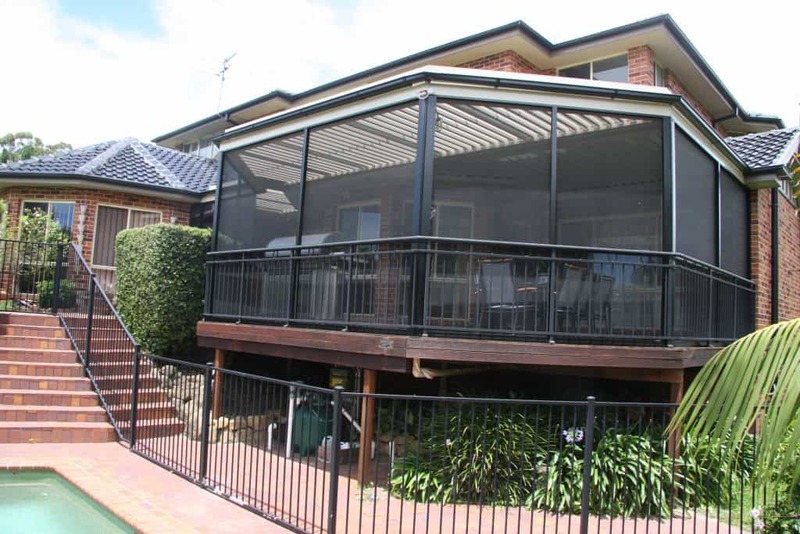 Looking forward to christening our new addition with a BBQ this evening…without the flies and mozzies! 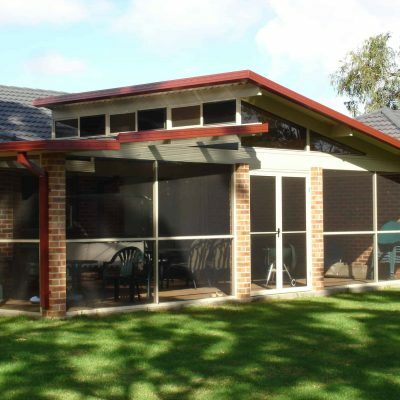 We work closely with you to design a screen room that will suit your needs and lifestyle, with a range of colours and materials that will seamlessly blend into your home.